DWG Viewer for Windows 10 - utility for viewing dwg files. The application uses the core of AutoCAD, allows you to open 3D models and two-dimensional drawings for measuring sizes, printing and converting to raster data formats. The functionality of the utility contains a set of tools for scaling, spatial movement and rotation of objects, capable of displaying files in full screen, supports work with layers, uses the tool of fragmented printing. The program has a simple user interface, renders graphics at the hardware level, allows you to specify dimensions using a separate layer. 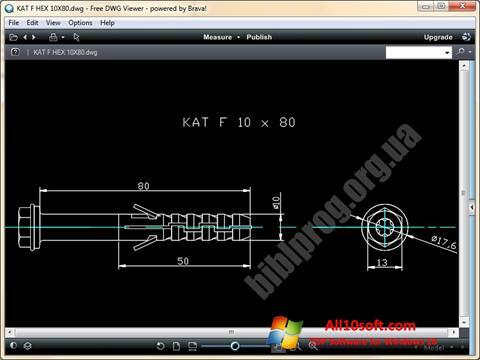 You can free download DWG Viewer official latest version for Windows 10 in English.